The Royal Free Hospital (also known simply as the Royal Free) is a major teaching hospital in Hampstead, London. The hospital is part of the Royal Free London NHS Foundation Trust, which also runs services at Barnet Hospital, Chase Farm Hospital and a number of other sites. The trust is a founder member of the UCL Partners academic health science centre. Former site in Gray's Inn Road, subsequently the Eastman Dental Hospital. The Royal Free Hospital was founded in 1828 by the surgeon William Marsden to provide, as its name indicates, free care to those of little means. It is said that one evening, Marsden found a young girl lying on the steps of St. Andrew Church, Holborn, dying from disease and hunger and sought help for her from one of the nearby hospitals. However, none would take the girl in and she died two days later. After this experience Marsden set up a small dispensary at 16 Greville Street, Holborn, called the London General Institution for the Gratuitous Care of Malignant Diseases. A royal charter was granted by Queen Victoria in 1837 after a cholera epidemic in which the hospital had extended care to many victims, following which it became the Royal Free Hospital. As demand for in-patient facilities increased, it was constituted as the Royal Free Hospital, and moved to the former barracks of the Light Horse Volunteers in Gray's Inn Road in August 1842. The north wing of the former barracks, which was rebuilt and renamed the Sussex Wing after Prince Augustus Frederick, Duke of Sussex, a benefactor of the hospital, re-opened in 1856 and the south wing, which was rebuilt and renamed the Victoria Wing after Queen Victoria, re-opened in 1879. Meanwhile the western elevation on Gray’s Inn Road, which was rebuilt and renamed the Alexandra Building after the Princess of Wales, was re-opened by the Prince and Princess of Wales in July 1895. Some additional land was purchased and used to develop the Helena Building, named after Princess Helena: the building was completed in 1915 and served as the Royal Free Military Hospital for officers during the latter stages of the First World War before become the maternity wing after the war. The Eastman Dental Clinic opened in a building adjacent to the main hospital in 1929. The Victoria Wing was badly damaged by a V-1 flying bomb in July 1944 during the Second World War. In 1955 an apparent outbreak of an infectious illness categorised with a fever and subsequent persisting fatigue affected 292 members of staff and forced the hospital's closure between 25 July and 5 October. There was subsequently some debate as to whether the episode was of an infectious cause, or just an example of mass hysteria. The outbreak turned out to be a notable case in the UK of myalgic encephalomyelitis and resulted in the coining of that disease name. The Royal Free viewed from Parliament Hill, London. By the late 1960s the site on Gray’s Inn Road had become too cramped, and a modern 12-storey cruciform tower block was built on the site of the former Hampstead Fever Hospital in Pond Street in Hampstead in the mid-1970s; it was opened by the Queen in 1978. Meanwhile the Eastman Dental Hospital took over the whole of the Gray’s Inn Road site. The Royal Free was the first hospital in the UK to appoint a consultant in HIV medicine, in 1989. Professor Margaret Johnson, a specialist in thoracic medicine, built the Royal Free Centre for HIV Medicine, which is at the forefront of treatment of HIV-AIDS. The out-patients' centre was opened in 1992 by the actor Sir Ian McKellen and is named after the actor Ian Charleson. In February 1998, the Royal Free held a press conference to coincide with the publication in The Lancet of a paper by Andrew Wakefield who claimed to have found a possible link between the MMR vaccine and autism. This started a controversy which led to a crisis in public confidence over MMR and a fall in uptake of the vaccine. Wakefield left the medical school in October 2001 and was later struck off the UK medical register by the General Medical Council following an investigation by The Sunday Times newspaper into the MMR issue. For a long time, the Royal Free was the only London hospital allowing women to study medicine, forming an association with the London School of Medicine for Women, under which women from the school completed their clinical studies at the hospital, from 1877. Under the Deanship of Elizabeth Garrett Anderson, one of the schools founders, it became part of the University of London and in 1896 became known as the London Royal Free Hospital School of Medicine for Women. 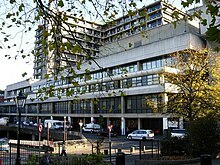 In 1998, it merged with the University College Hospital's medical school to form the UCL Medical School and eventually the Royal Free and University College Medical School. The Royal Free Hospital has a high-level isolation unit equipped to treat highly infectious diseases such as Ebola virus disease. In 2014, the British nurse William Pooley was successfully treated for Ebola virus disease at the unit. In December 2014, Pauline Cafferkey, a British health worker diagnosed with Ebola in Glasgow was transferred to the unit for treatment. The unit has also previously been used to treat a patient with Crimean–Congo hemorrhagic fever. Significant advances in the fields of liver medicine (hepatology) and transplantation; renal disease and dialysis; haematology and haemophilia have been made at the Royal Free, and the trust now treats all patients needing dialysis in north and central London. The department of liver medicine is recognised as one of the leading research units of its type in the world: it was founded by Professor Dame Sheila Sherlock. The hospital was rated 'good' by the Care Quality Commission in September 2017. 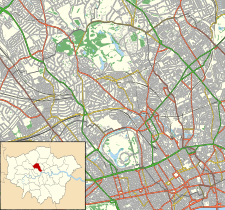 The nearest London Underground station is Belsize Park, and the hospital is situated very near Hampstead Heath station on the London Overground. ^ a b c d e f g h i j k "Royal Free Hospital". Lost hospitals of London. Retrieved 21 May 2018. ^ a b Royal Free History 2018. ^ Dawson J (February 1987). "Royal Free disease: perplexity continues". Br Med J (Clin Res Ed). 294 (6568): 327–8. doi:10.1136/bmj.294.6568.327. PMC 1245346. PMID 3028544. ^ A. Melvin Ramsay (1986). Postviral Fatigue Syndrome. The saga of Royal Free disease. Londen: Gower. ISBN 0-906923-96-4. ^ "Ian Charleson Day Centre". Royal Free Hospital. Retrieved 21 May 2018. ^ James Meikle, Sarah Boseley (24 May 2010). "MMR row doctor Andrew Wakefield struck off register". guardian.co.uk. Retrieved 24 May 2010. ^ Deer, Brian (22 February 2004). "Revealed: MMR research scandal". The Times. London: The Sunday Times. Retrieved 2 March 2010. ^ Deer B (8 February 2009). "MMR doctor Andrew Wakefield fixed data on autism". Sunday Times. London. Archived from the original on 25 May 2010. Retrieved 9 February 2009. ^ a b "London's Royal Free Hospital: Why it is the UK's frontline defence against Ebola". The Daily Telegraph. 30 December 2014. ^ "Ebola nurse Pauline Cafferkey transferred to London unit". BBC News. 30 December 2014. ^ Lisa O'Carroll (30 December 2014). "Treating Ebola: inside the Royal Free hospital's high-level isolation unit". The Guardian. ^ Booth, Christopher C. (2005). "Sherlock, Dame Sheila Patricia Violet". Oxford Dictionary of National Biography (Online ed.). Oxford University Press. Retrieved 26 January 2017. ^ "The Royal Free Hospital". Care Quality Commission. 20 September 2017. Retrieved 13 January 2018. "Our history". Royal Free London. NHS. 25 May 2018. "London School of Medicine for Women". UCL Bloomsbury Project. UCL. 2005. Retrieved 25 May 2018. This page was last edited on 13 March 2019, at 04:02 (UTC).